Meicha is harvested from only the top leaf buds picked in the spring. 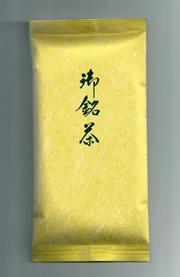 It is a robust tasting green tea with deep flavor, moderate astringency and a slightly bitter aftertaste. The Japanese people so highly revere the quality and taste of Meicha, it is often the gift of choice at special events and is also served in fine restaurants. 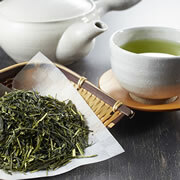 Tea connoisseurs rank it as high as the best Sencha. Brewing instructions are not printed on Consumer (Bulk) packages. Please see the How To Brew page for brewing instructions. Meicha brews exactly like Sencha.